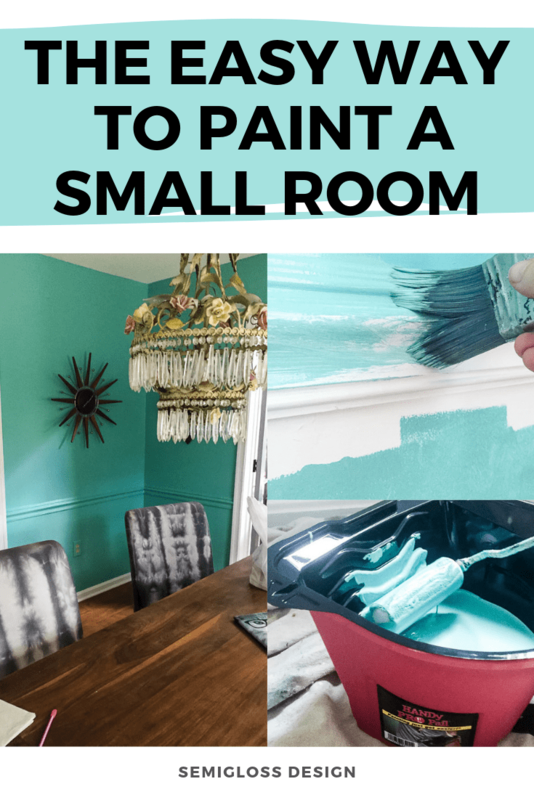 Learn How to Paint a Small Room: Minimize the Mess! 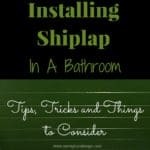 Home » DIY » Home Improvement » Learn How to Paint a Small Room, the Easy Way! 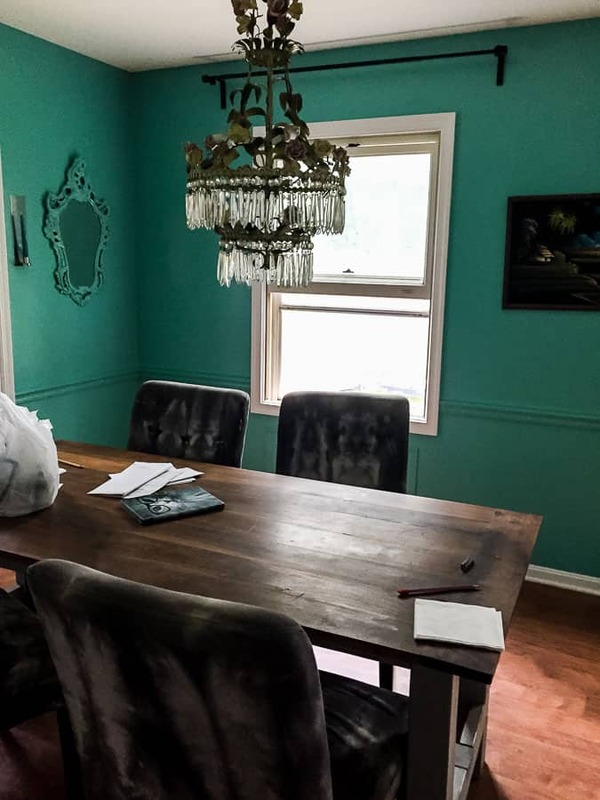 Although my dining room isn’t tiny, only the wainscot needed to be painted. I don’t know about you, but I hate dragging out all the stuff for small paint jobs. It seems like overkill. 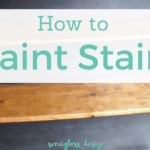 Today, I’m sharing how I avoided the mess to paint my small room. HANDy Cup provided me with products for this project, but all thoughts and opinions are my own. I would never recommend products that I wouldn’t buy or use on my own. Your support helps me make more projects like this one! I’ve been a fan of HANDy paint cup for a while now. Until I found the HANDy paint cup, I used a plastic cup. It didn’t hold much paint and I was constantly worried that I would accidentally drink from it our of habit. Because when you’re holding a cup, it’s normally something you drink. Luckily that never happened. Then I discovered the HANDy paint cup! I especially love it for using when cutting in near the ceiling. 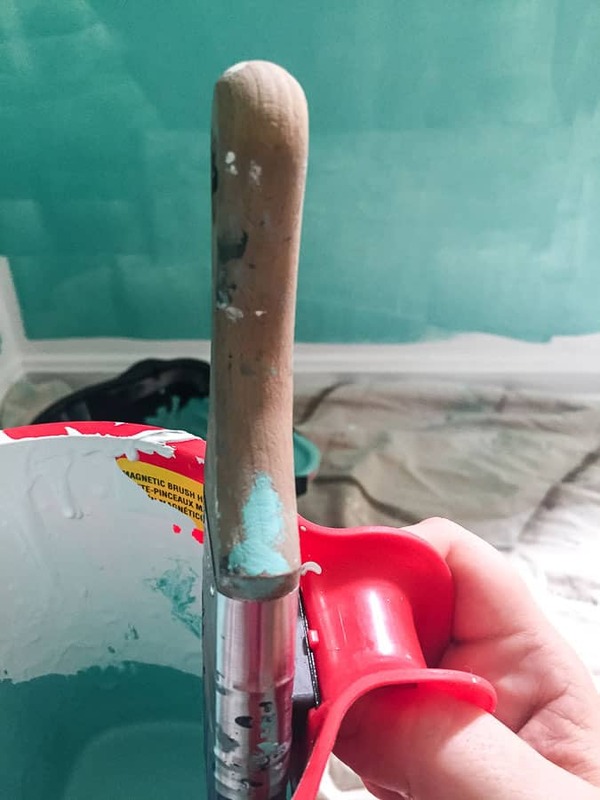 It’s small enough to take up a ladder, but holds enough paint to get the job done without a million refills. Best of all, it has a super convenient magnet that holds the paint brush out of the paint. No overloaded brushes to deal with! 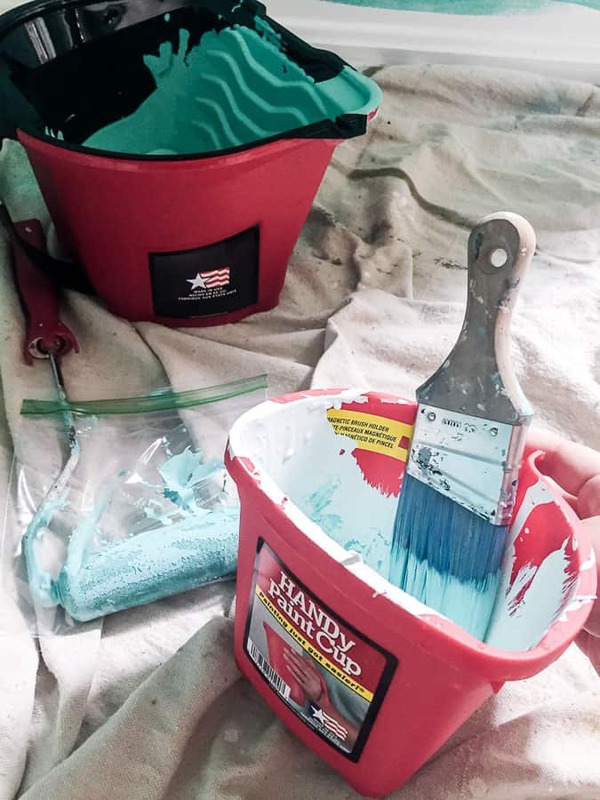 HANDy Cup recently sent me a box of goodies to try out and I was thrilled! 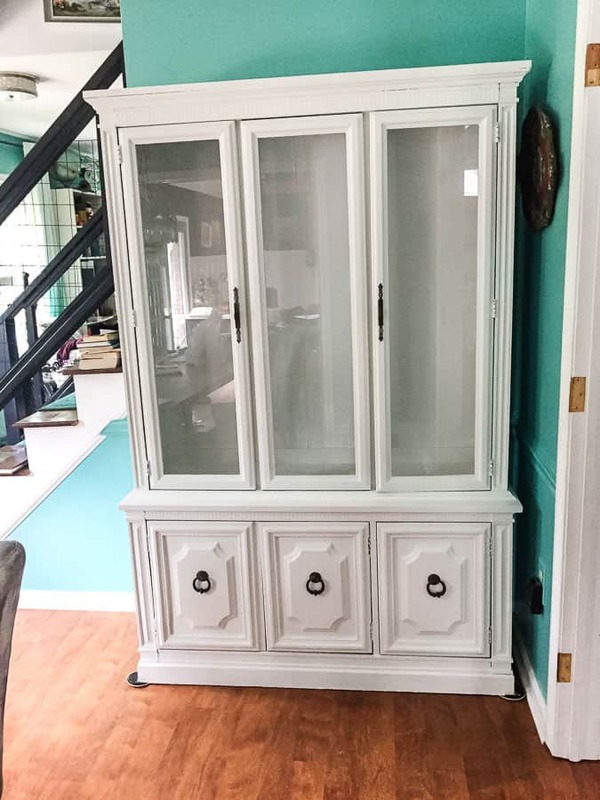 As soon as my new HANDy paint cup came in the mail, I broke it in by painting my china cabinet. This piece was huge and painting the inside of it was not fun. But the HANDy cup made it a lot easier and less messy. 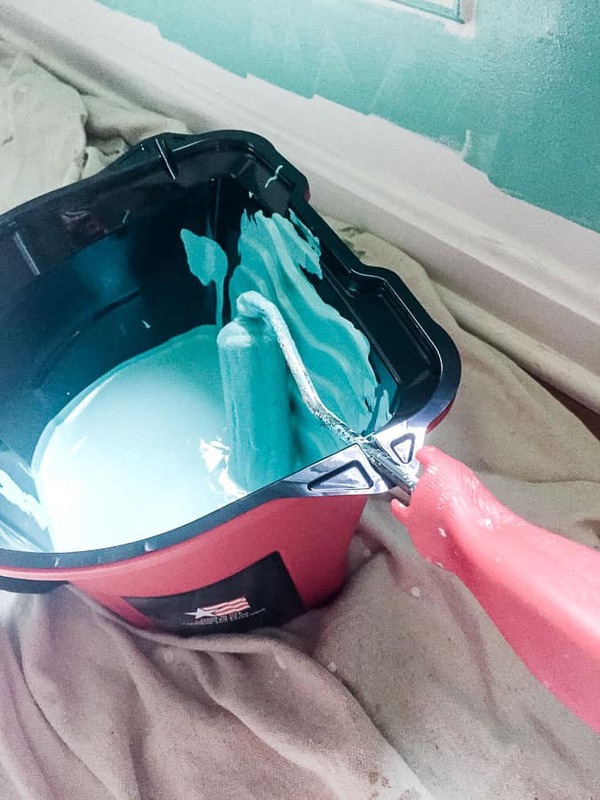 For my dining room walls, I used the Pro Pail, which I loved. It’s small, but efficient. 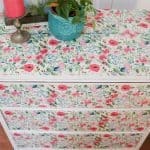 It would be perfect for painting small rooms like bathrooms or closets! Or even useful for painting furniture, since it’s easy to carry. 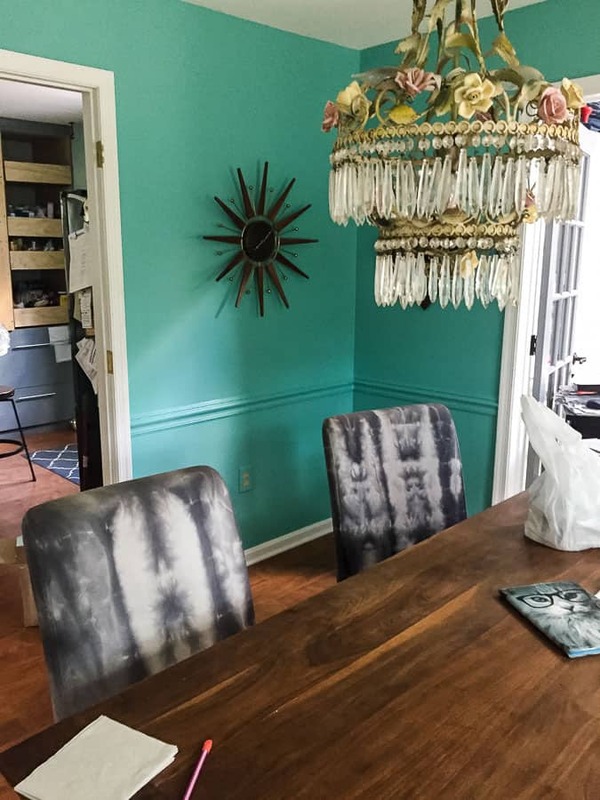 Last week, I introduced plan for my dining room that I’m redoing for the One Room Challenge. 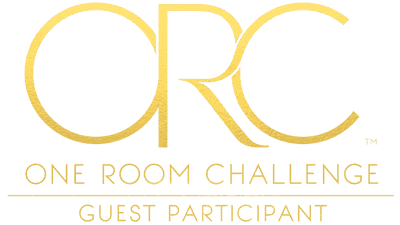 The One Room Challenge is a challenge to makeover a room in just 6 weeks. I’m joining as a linking participant, along with over 200 other blogger. There are also 20 featured bloggers. Check them out for tons of inspiration. My goal this week was to get the room painted, which I accomplished. I think I’ve picked out a rug as well. 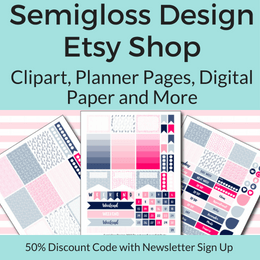 My sale at Sweet Clover is coming up, so this is a really busy week for me. I’m hoping to squeeze in some work this weekend…. Prepare your room. 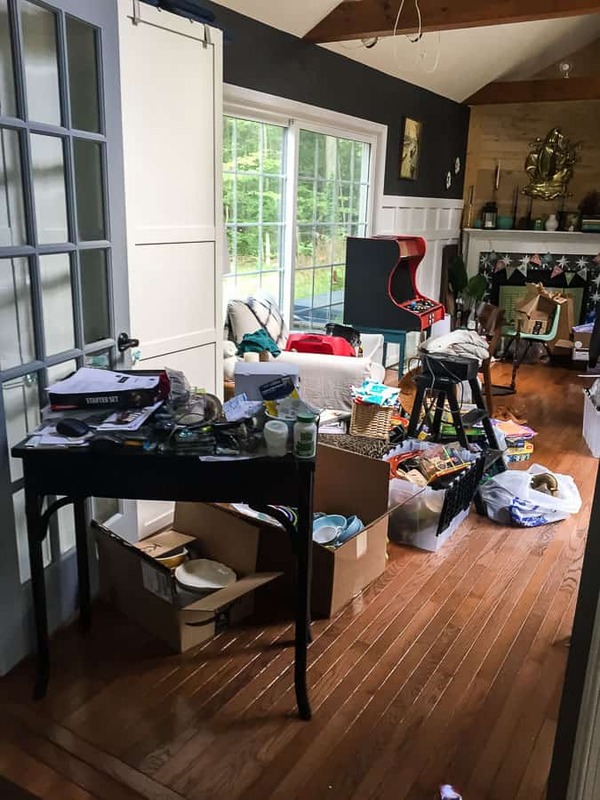 Move all the furniture and clean the walls. I like to use a microfiber cloth because it picks up stray dog hairs. Remove all outlet covers. 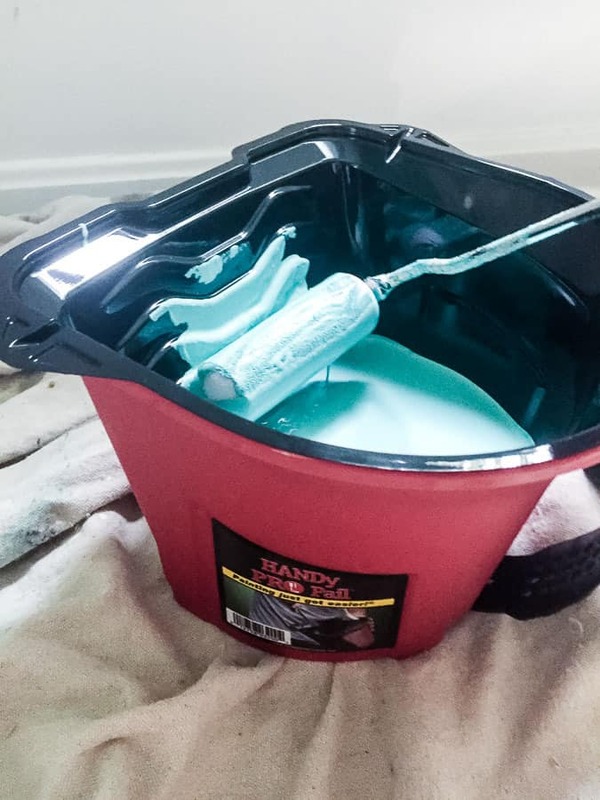 Pour your paint into the HANDy Pro Pail. Load your roller with paint. Start painting all of the large areas, leaving about 1-2 inches of space around the edges. Pour paint into the HANDy cup. Cut in with the paint brush around the edges. Let the paint dry and repeat as needed. You can cut in OR roll first. It doesn’t really matter. I normally cut in first to get the harder part out of the way. Using the right paint brush makes the biggest difference for cutting in. 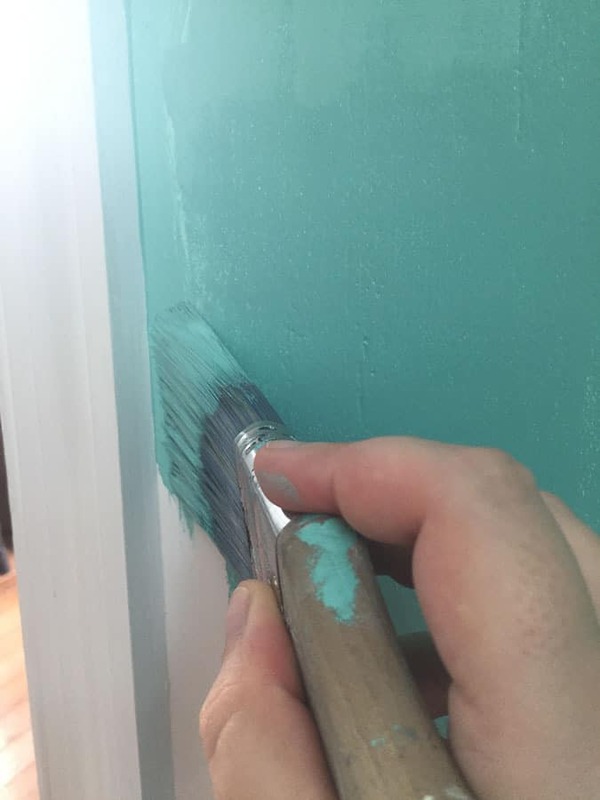 A short handled, angled brush works the best. I like to use ziplock baggies for storing my brushes and rollers between uses. Saran wrap also works, but I think the baggies are so much easier. It’s okay to paint half the room at a time. For my living room, I had to paint it in stages because there was too much stuff in there. I also live in a small space, so I know how challenging it can be to paint. 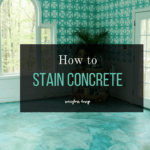 This post is quite helpful and covers all the bases. I love that you’re not afraid of color! I’ve been painting all week. This would have been nice! Emy I love the HANDy paint products they are so wonderful and the magnetic brush holder is awesome! I have not used the smaller roller bucket yet but I know we will before we are done, LOL lots of painting!!! Your color selection is amazing as always, so bright a vivid I love it!!! Great tips! What did we do before the Handy paint products? I know, I used to pour paint into a plastic cup and then my hand would ache! I love that color, so vibrant. Looking forward to the reveal.